An infection carried by dogs has recently infected 39 people, at least one of whom lives in Missouri — and the outbreak can likely be traced back to a pet store chain with a presence in the St. Louis area. That's according to the Centers for Disease Control and Prevention, which reported the outbreak on Monday and is investigating the situation along with the Ohio Department of Health and the U.S. Department of Agriculture Animal and Plant Health Inspection Service. The infection, known as Campylobacter, has hit seven states. The government agencies say that's because of puppies at Petland stores, which has a location in Lake St. Louis. In addition to Missouri, the outbreak of Campylobacter is said to have caused illnesses in Florida, Ohio, Kansas, Tennessee, Pennsylvania and Wisconsin. Nine of those cases have resulted in hospitalization. 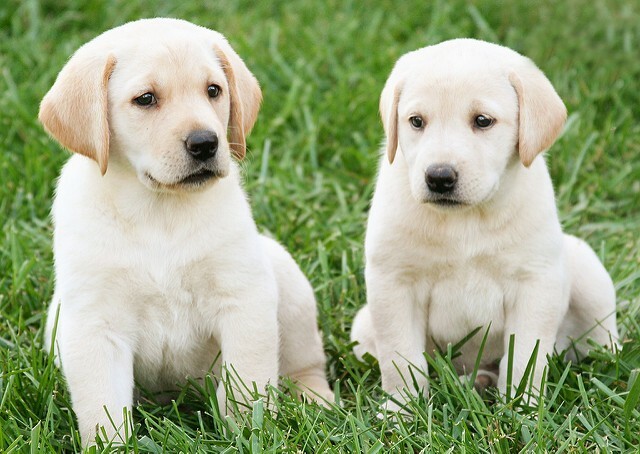 Campylobacter can be easily passed from dogs to people and causes symptoms such as diarrhea, stomach cramps, vomiting, nausea and fever, according to NBC. Infected puppies, meanwhile, may have no symptoms, or could also have diarrhea, fever or vomiting, according to the St. Louis Post-Dispatch. The daily says that Campylobacter bacteria is spread through unpasteurized dairy products, under-cooked poultry and and infected feces. The CDC says that illnesses due to Campylobacter spread between September 15, 2016 through August 12, 2017, with the most recent case reported on September 1. Twelve of the infected people are Petland employees in four states; another 27 either recently visited Petland, bought a puppy at Petland or visited or live in a house with a puppy brought through Petland before they became sick. The CDC says that Petland "is cooperating with public health and animal health officials to address this outbreak." This isn't the first time that Petland has come under fire in Missouri. 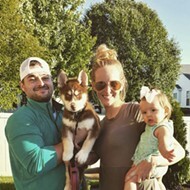 In June, the RFT reported that two families lost dogs purchased from the Lake St. Louis Petland location due to parvo, a deadly virus. Both families filed complaints with the Missouri Attorney General and recruited Dan Kolde, an attorney who specializes in animal cases, to spread awareness about the problem. Petland has also been a target for animal activists because it's one of the only pet stores in the area to sell dogs from breeders, rather than only dealing in rescue dogs. While people infected by Campylobacter usually get well on their own, NBC reports that severe cases might be treated with antibiotics like ciprofloxacin or azithromycin. Young kids, pregnant women and people older than 65 are most susceptible. The CDC says that Campylobacter typically does not spread between people. While this particular case of Campylobacter appears to have spread via dogs at Petland stores, the CDC acknowledges that dogs can carry Campylobacter germs no matter where they're from. The organization provides tips on its website for both pet owners and pet store employees about how to prevent Campylobacter and what to do if you're infected. In a September 13 press release, Petland responded to the CDC's alert. The store emphasizes that the health and well-being of its pets, staff and customers is its top priority — and adds that the company has not been given further information about the cases. "Petland is committed and stands ready to assist in identifying any possible link between our pets and this bacterial infection. Petland has requested but has not been given any information from the CDC or any other health department offices related to the dates, stores, or cities where the 39 infection cases allegedly originated. We have also not been provided any information or location of any employees affected," the press release reads. Petland adds that it has "resources ready to deploy" when the CDC provides the store with case-specific details. "The only information we have is the limited information shared with us from the CDC. Prior to the public notification from the CDC, Petland had not been contacted by any customers or employees regarding a confirmed or diagnosed human campylobacter infection after visiting a Petland store or from a Petland puppy."